The Colossus of Rodos is known by the rule of the Seven Wonders of the ancient world, which was shaped in the 17th century BC. The giant statue, dedicated to God Sun, the protector of Rodos island, was designed by the sculptor Charis from Lindos, a student of the famous Greek sculptor Lysippos and it took him 12 years for the development of the project. It is said that the face of the statue was visible from the entrance of the harbour of Rodos. Although Colossus was from the beginning considered a masterpiece of art, there is no precise information of its form and position. Its height was estimated between 27-31 meters, and the prevailing image is that it reflected God Sun, with rays around his head holding a torch in his hand and stood at the entrance of the port, while the ships passed beneath his feet. In ancient mythology, the island of Rodos was the island of the god Sun. When the Greek fleet tried to invade the island in 304 BC, the inhabitants raised such strong resistance that the Greek general was forced to surrender and his fleet was captured. The people of Rodos built - from the weapons and ships taken from the Greek army - a huge statue of the Sun as a gratitude to the god who protected them. The statue collapsed 66 years later due to a powerful earthquake in 226 BC, and according to historical sources, it was cut at the knees and fell to the ground, from where Rhodians should not transfer it according to the oracle. It remained there until 653 AD when a group of Arab pirates moved it. Today, nobody knows exactly where the statue was and exactly how it looked like. So, the mystery continues... 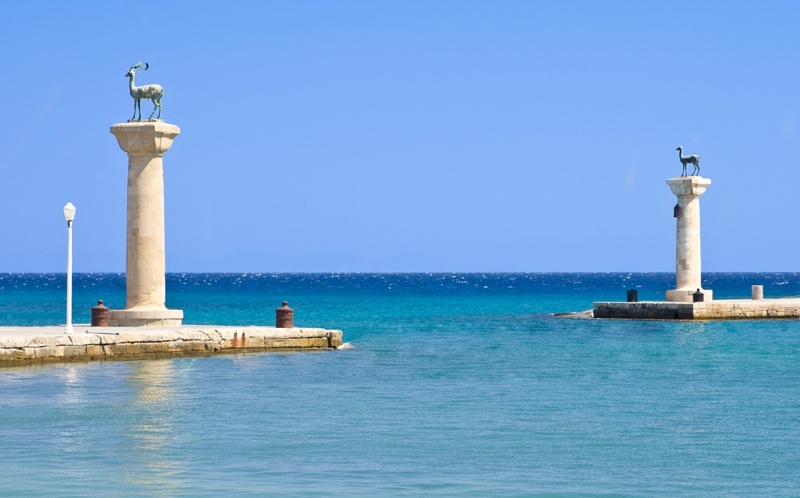 Many believe that it was located in Lindos, the largest port of Rodos, and the ships passed beneath its feet. However, it is likely that the statue had to be built within the city and looked over the port. The most of what we know about the giant Colossus is based on what the writers of that time wrote about him.